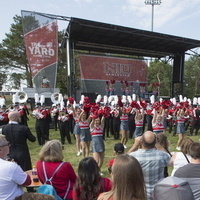 Come join your fellow Huskies for pre-game tailgating at the NIU Alumni Association tent in The Yard. Cost is free. Popcorn and water will be provided. Each college will have a table with swag and promotional items.